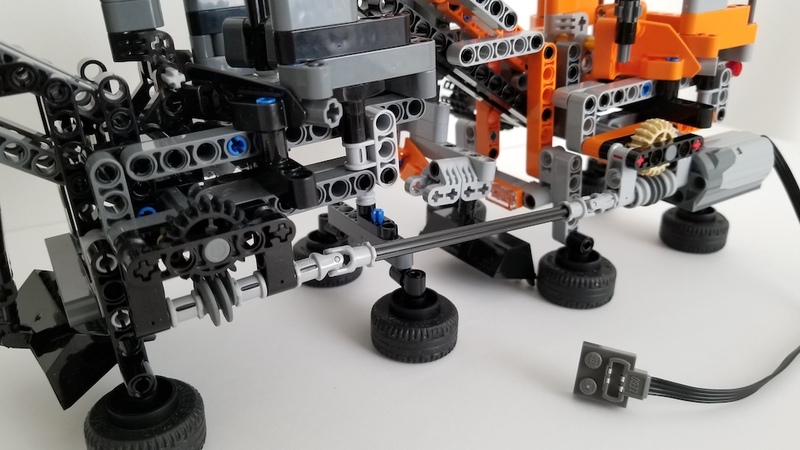 Last night while testing out some modules, I realized that Roadwork Redux could easily be chained together with some additional axles and universal joints. I did not originally design it this way, but I'm really happy that it is possible. 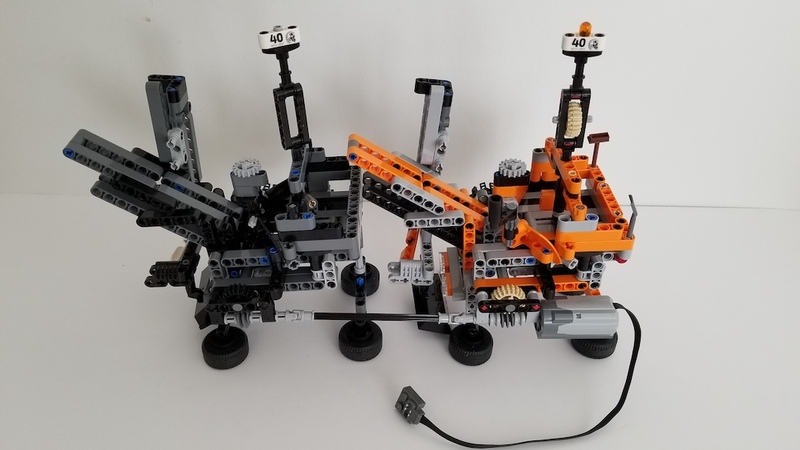 Here are some images of the 2 modules connected to one motor. I might try to build an different new module that can work with this drivetrain.